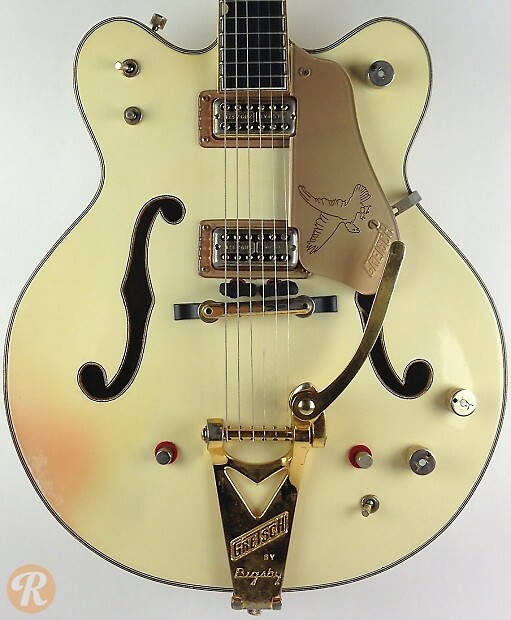 Perhaps Gretsch's single most famous guitar, the White Falcon was designed a showpiece and not initially intended for commercial production. 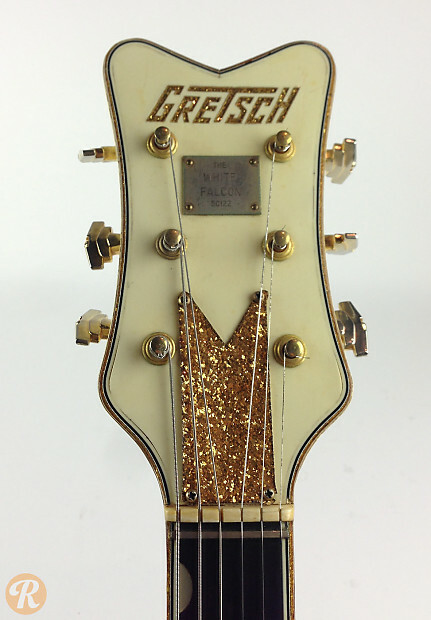 Following a showing at the 1954 NAMM show, interest was so piqued that Gretsch entered the model into regular production in 1955. The guitar was conceived as the absolute top of the line; the Cadillac of archtops. 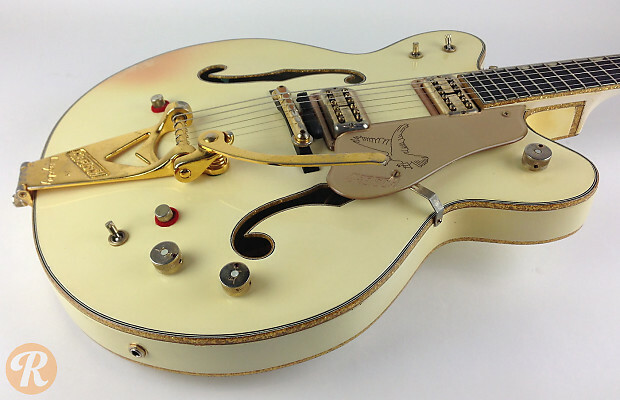 With a large 17-inch body and 25 1/2-inch scale length, this Gretsch came replete with all the highest end cosmetic appointments including four-ply binding and a generous helping of gold-plated hardware and detailing. The design started to change in 1958 when gold plastic binding and thumbnail inlays were introduced. Another major change came in 1962 when a switch was made from a single to a double cutaway body shape. Unique to this Year: Body style switches from single-cutaway to double cutaway.